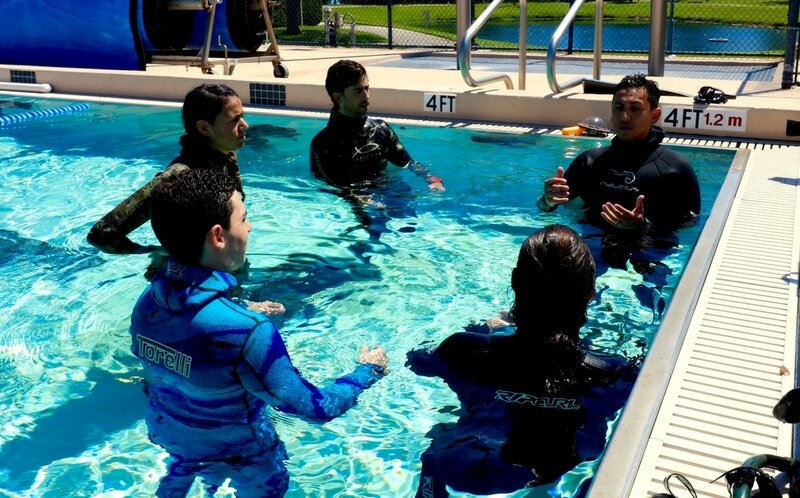 We offer group lessons for PADI Basic Freediver and Freediver certifications. All courses are limited to a 4:1 student to instructor ratio, which ensures that all students receive adequate instruction and critique in order the master the performance requirements. While the preferred equipment is recommended, you do not need to have the preferred equipment to take the class, only the basic listed items. If you plan on buying equipment prior to the class, we strongly recommend that you contact us to help guide you in the right direction. We can walk you through where you can go (locally) and what type of equipment to look at.